Smooth operation: Domestic Trade, Co-operatives and Consumerism Ministry enforcement director Datuk Mohd Roslan Mahayudin (centre) giving a press conference on the raids which yielded luxury vehicles and cash. Despite the crackdown by the authorities, investors continue to patronise M Mall, which is operated by MBI. The virtual money scheme operator was hit by three early morning raids in Penang and Kedah as a multi-agency task force acted on intelligence gathered in its ongoing anti-pyramid scheme probe. Investors say they regard this development as a temporary matter, while the public has been urged to come forward and help in the investigation. GEORGE TOWN: After watching the premises closely for a month, the authorities sprang into action and arrested a key person in virtual money scheme operator MBI Group International. Four bank accounts of a newly- established company that belonged to the suspect’s relative, with deposits totalling RM30mil, were also frozen, while luxury cars and cash were seized in raids on three premises in Penang and Kedah carried out early on Monday morning. Domestic Trade, Co-operatives and Consumerism Ministry enforcement chief Datuk Mohd Roslan Mahayudin said the suspect, in his 50s, is believed to be the founder of the group. “He has been remanded for four days since Monday for investigation under the Anti-Money Laundering, Anti-Terrorism Financing and Proceeds of Unlawful Activities Act 2001,” he said. Speaking to reporters at the Bank Negara Malaysia office here, Mohd Roslan said the operation, codenamed Ops Token II, was staged because the premises were believed to be involved in a pyramid scheme. “They were believed to be the cash storage transit before the money is transferred to other accounts for the purpose of the scheme’s activities,” he said. Two of the premises were in Taman MBI Desaku in Kulim, Kedah, and one in Sungai Dua on mainland Penang. Ops Token II was a follow-up to Ops Token I, which was carried out against Mface Club in Klang Valley and M Mall, Penang, on May 29. 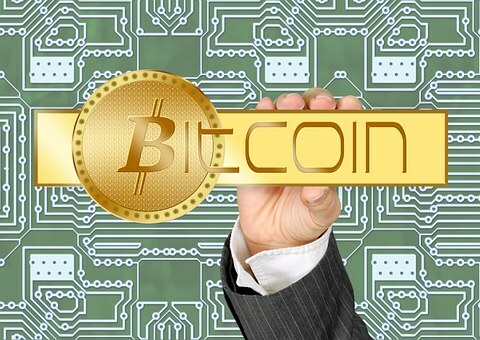 Ops Token II was conducted by the National Revenue Recovery Enforcement Team, which comprises the ministry, the Attorney-General’s Chambers, police, Customs, Malaysian Anti-Corruption Commission, Inland Revenue Board, Bank Negara, Companies Commission of Malaysia and the Immigration Department. Mohd Roslan said the team had been monitoring the premises with the assistance of police for a month prior to the operation. 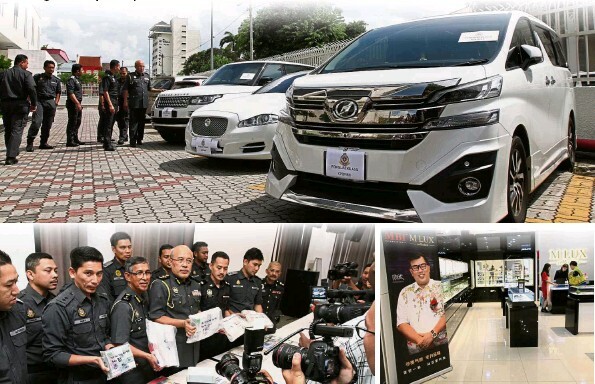 Three luxury vehicles – a Jaguar, a Range Rover and a Toyota Vellfire – and cash totalling RM2.235mil were seized during the raids, Mohd Roslan said. The team confiscated RM280,000 from the site in Sungai Dua, and RM187,612 cash and RM218,000 worth of foreign notes from one of the Kedah locations. Nothing was seized from the third location. The foreign currencies seized were Singapore dollars, US dollars, Thai baht, Australian dollars, Chinese yuan, New Zealand dollars, Indonesian rupiah, Korean won, Japanese yen, Hong Kong dollars, Taiwan dollars, Laotian kip and Cambodian riel, he added. Mohd Roslan said with the latest series of raids, the number of local bank accounts frozen over the investigation into the group totalled 98, with combined funds of RM209mil. The bank accounts included 49 company accounts and 49 individual accounts. Mohd Roslan stressed that the authorities would continue investigating the group and all its subsidiary companies. While no investors have lodged reports against the group so far, Mohd Roslan urged investors to step forward to assist in the investigation. The authorities have not estimated the amount of losses suffered by the investors or the public, he added. Under the Act, the suspect faces a jail term of up to 15 years and a fine of five times the amount or RM5mil, whichever is higher, upon conviction. The bank accounts, meanwhile, could be frozen for up to 90 days, while the authorities could investigate the matter for a year, Mohd Roslan added. Business as usual: M Mall employees continue working at their offices in the Penang mall. 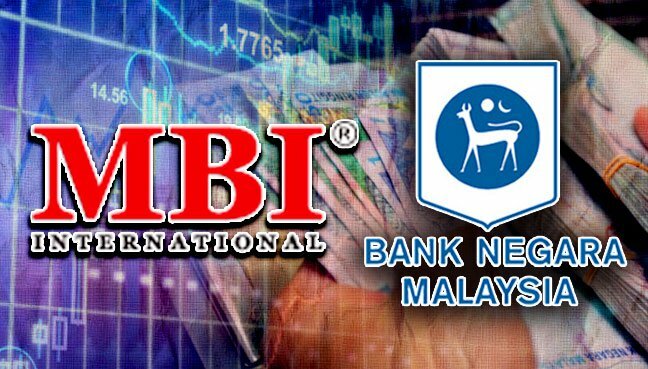 GEORGE TOWN: After watching the premises closely for a month, the authorities sprang into action and arrested a key person in virtual money scheme operator MBI Group International. Four bank accounts of a newly-established company that belonged to the suspect’s relative, with deposits totalling RM30mil, were also frozen, while luxury cars and cash were seized in raids on three premises in Penang and Kedah carried out early on Monday morning. Ops Token II was conducted by the National Revenue Recovery Enforcement Team, which comprises the ministry, the Attorney-General’s Chambers, police, Cus­toms, Malaysian Anti-Corruption Commission, Inland Revenue Board, Bank Negara, Companies Commission of Malaysia and the Immigration Department.